Over the past thirty years family history has been one of the most important and controversial growth areas in the development of social history. 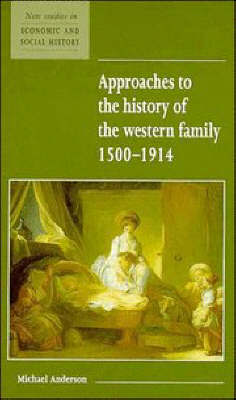 In this guide to the burgeoning literature on the Western family Professor Anderson reviews the main findings of historians and considers them in the light of the problems inherent in the interpretation of family history. He focuses particularly on the strengths and limitations of the different approaches that have been adopted, showing that although this variety of method has complicated matters, it has also produced a more rounded understanding of the history of the family. Updated to include work published between 1980 and 1994, this book will be invaluable to students of family history, and to scholars who are non-specialist in the field.